You need to be ready for individuals requesting access to their personal data, is that possible without awareness or control over personal data storage? 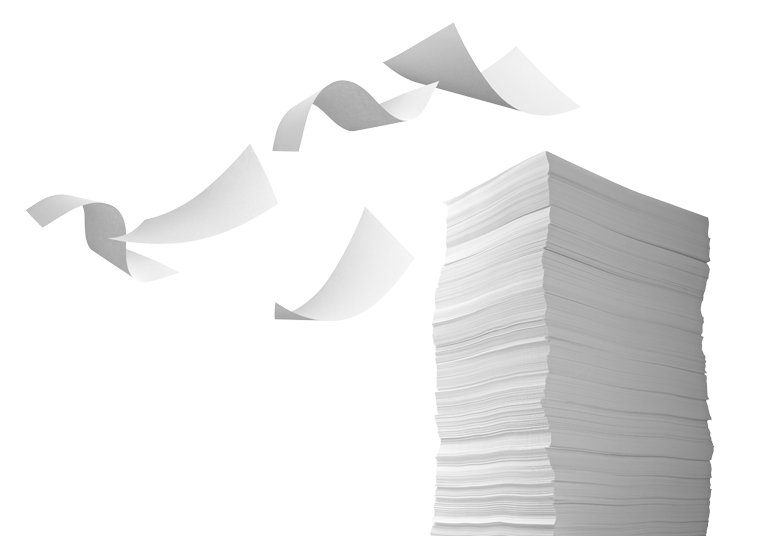 As much as 60 percent of personal data is stored in paper documents today. We analyse your current document workflows and set-up to see how we can improve productivity, security and efficiency. Vision’s document imaging and capture solutions enable documentation to be captured in protected digital formats, stored into central repositories, allowing you to reduce the number of copies of a document that exist in your business. Digitising documents ensures they are transported between users and your offices in a safe, secure and protected process and without risk. Documents can be screened to validate the sender and recipient and search content for keywords, phrases and patterns including attributes or barcodes. Documents classified at risk are quarantined in real time for protection, with notifications to the sender, supervisor and security manager to ensure any violations or exposures are captured and addressed immediately. Do your mobile, cloud and paper-based workflows work together? Vision’s cloud-based solutions and services offer scalable solutions to seamlessly integrate your cloud-based workflows with your paper-based ones. In short, you can make your printers available to anyone you choose, from the applications you use every day. Do you want to reduce the costs associated with manual faxing? Our solutions can help reduce costs, improve productivity and meet compliance goals by integrating fax with e-mail, desktop and document management applications, and by enabling high volume fax delivery from CRM, ERP and host applications. Avoid undelivered emails, save time and data usage and reduce the cost of storing large documents onsite or in the Cloud. With Vision’s document solutions, paper documents and images can be compressed and converted into fully searchable and editable formats from your desktop for easy file transfer, storage and retrieval at the same time as improving security through encryption and the ability to remove sensitive information. Do you want the versatility to personalise documents for more effective customer communications? Specialist printing capabilities are available through our latest digital software solutions enabling you to increase your marketing capability, improve speed-to-market for new campaigns and tailor your promotions to niche target audiences. From initial enquiry through to installation, support and account management, Vision has proven itself to be an outstanding provider of quality products and truly excellent service time and time again.